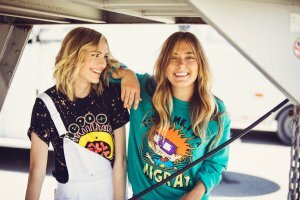 Nostalgia hit me heavy when I found out about the latest collaboration between Hybrid Apparel’s line, Love Tribe and Nickelodeon. This new collection is all about taking it back to Millennial childhood by making a nod to 90’s cartoon classics that so many of us grew up on, and personally, I’m loving every single piece! My favorite pieces include characters from hit shows like Rugrats, All That, and Hey Arnold!. You can also find pieces that feature quotes and characters from Clarissa Explains It All, The Ren & Stimpy Show, and SpongeBob SquarePants. 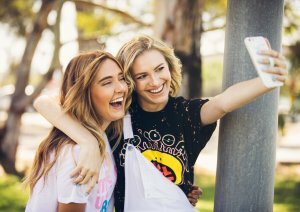 The Nickelodeon collection a retro style for fashionable millennial women. The garments possess a “throwback” feel, having been made with materials such as terry cloth and jersey, and include trendy slogans such as “Trust Me, I’m a Rugrat,” featuring Chucky Finster from Rugrats and “Haters Gonna Hate,” featuring Arnold from Hey Arnold!. Love Tribe X Nickelodeon has officially launched this week in stores and online at Macys.com, but the line will officially kick off nationwide with a special event at Macy’s Herald Square in New York at 2:00 pm on August 26, 2017.